Some teens may seem unmotivated about important things. They might spend their time playing video games. Now, there is job training provided by the esteemed ARC to assist young people in their future decisions. It is amazing how quickly these students become hooked on this way that encourages free thought and interaction with others. Suddenly, that video game is forgotten, as these young people tune into new job opportunities that include retail, business, community support, manufacturing and more fantastic job sectors. These students realize that they can change their futures starting now. This is a startling realization for some young people. For once, they see that soon they will be adults living adult lives. For most, this includes working. The students discover their own motivation and inner desire to become someone who is happy in their job and successful. This unique training program lets students get glimpses of different job industries. They begin to practice behaviors that are expected in the outside world. They will learn that excuses for missing or incomplete work will not be accepted in the workforce. Students practice within their groups to talk constructively and to speak up for their work desires. This type of honest, reflective and confident communication will transfer easily into a true job environment. It is hoped that students will take initiative while not creating hostility by treating others disrespectfully. Practice does make perfect. There are many opportunities for students to practice what particular concept that they are studying. This back and forth engagement learning style is motivating young people to take charge of their actions and perhaps destinies. They learn that to get to point D, you have to get to A, B and C first. This logical step process helps students learn how to set up and accomplish goals. Once hooked, these students are eager to move forward. The program plan uses a lot of short discussions about course material. Since theory work can seem boring if not handled properly, the teachers divide the lectures with group discussions and stimulating activities. The young people are better able to concentrate and retain what is being taught. Teachers also allow time for class and individual projects. This lets a student express his or her learning in different ways. Using these educational tools allows greater chance for important concepts to firmly take root in the students' minds. Many of the youth jobs with ARC training ends up being these student's life profession. It is wonderful to see young people actively working towards something positive like getting a coveted job. 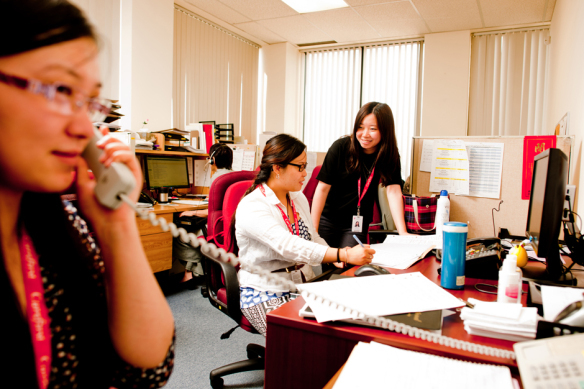 ARC works closely with different businesses that offer internships for promising students. These students accepted into internships learn valuable job skills that will help them build their career paths. Many of these businesses hire those students on permanently when the internship is complete. This is a program that truly serves the entire community. ARC trains students who prove themselves in internships with businesses. It is expected that ARC training will soon be available everywhere. Any student or their parent can get more detailed information about this phenomenal training option. ARC is funded partly by the government, and ARC has many close ties to businesses and the communities where they operate. ARC will continue to expand.